Eating low carb bread on your diet is easier than you think. Ready-made low carb bread, baking mixes and the Best Low Carb Bread Recipe make it possible. Three plans for eating bread: Yes, No, Maybe? Low carb diets are generally easy to follow, but bread cravings happen. Crispy, fluffy, buttery bread – Should you give in? Bread is easy and adds variety to your diet. Sometimes it’s necessary in recipes or when eating low carb outside the home. There are three basic options for eating bread on a low carb diet. Thankfully, each plan of attack is filled with low carb possibilities. Plan 1: Say yes and eat bread. Plan 2: Give it up completely. Plan 3: Lessen the blow with compromise. Do you have strong willpower? Are you militant about counting carbohydrate grams? Are you willing to limit the type or amount of bread in your diet? If so, eating bread is an option for you. Bread is made from carbs, either wheat, grain based flours or other all-carb flours. There may be added fat or sugars, but bread is mostly made of carbs. The best way to get “low carb bread” without doing anything special is to eat less of it. Measure each portion carefully, and relish the treat. Eat bread sparingly or only on special occasions, and don’t keep it in the house. Put plenty of meat, cheese, low carb veggies or protein in your sandwich and only eat half. Grilled open-faced sandwiches are a good compromise at cookouts and BBQs. Adds extra carbs. Is it worth it? Eating bread might revive old carb cravings. Bread is easy to over eat. Give your decision some thought. 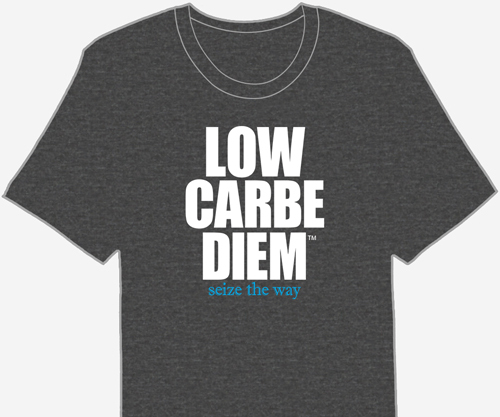 You can change your plan later as you become more comfortable with your low carb diet. Would you like to enjoy bread on a regular basis? Would you like to try recipes you couldn’t enjoy before without worrying about carbs? Low glycemic breads, low carb breads: ready-made or from a recipe, low carb bread from mixes, and a variety of low carb bread alternatives. Low glycemic index, or low GI bread can be bought ready-made in stores, or baked at home from a low carb bread recipe. Low GI breads are not necessarily low carb bread, but they will release glucose into your blood stream at a slower rate and are often healthier than white bread. Select bread that is as natural as possible. Do not select refined, white flour breads. Whole meal, whole grain bread is lower on the glycemic index. Thankfully, there are now many delicious, affordable low carb breads on the market. These low carb breads use soy flour, rye flour and sugar substitutes (such as Splenda) for sweetness. The basis of any good bread is flour. Replace this flour with a low carb alternative to make your own low carb bread from a recipe. Soy, almond and coconut flours are easy to find, and excellent alternatives for low carb bread baking. Using a 1 pound capacity bread machine, combine ingredients according to the order given in your bread machine manual. Select the “light” browning setting. Don’t remove the bread until it has cooled. The entire loaf has about 20 carbs. When you slice it, divide the total carbs by the number of slices. 10 slices equals 2 carbs per slice. It’s easy to make your own low carb bread from a mix. Almost any bread-type food can be made low carb. There are many low carb ‘bread-like’ alternatives. Tortillas, wraps, crispbreads and pita pockets are available online and in grocery stores. Choose corn tortillas over flour. Use tortillas as a pizza crust. La Tortilla Factory Low Carb Wraps: Most are 80 calories, but the smaller one is 50 calories. Pita pockets are an excellent sandwich alternative. Pita replaces flat breads, and may also be used as a pizza crust. Most bagels are not low carb bread alternatives, but more low carbohydrate options are becoming available every day. The Western Bagel Perfect 10 Bagel: 10 net carbs, low-calorie and hearty. Low carb wraps hold anything but soup, and are the perfect travel or lunch box substitute for bread. Flat Out Wraps: 100 calories per wrap, and very high protein: 9 gm/wrap. Choose brown or multigrain rice over white rice. Perfect alternative for chips, crackers, pasta and breading. Wasa Crispbreads: 20 calories per slice. Wasa Light Crisps: 60 calories per 3 pieces. Don’t want to risk it? Go bread-less and use low carbohydrate foods instead of bread. Try stuffing tomatoes, green peppers or potato skins with meats, cheese or low carb veggies. Bake, grill, or chill and eat raw. Use firm vegetables for stuffing- they store and travel easily. Spinach, steamed cabbage, kale, or Swiss chard leaves are perfect to wrap around or hold low carb veggies, meats and herb cream cheese spreads. To make lettuce wraps brown bag-friendly, use the largest lettuce leaves you can find. Romaine lettuce wraps up tightly, preventing spills. Use grilled eggplant slices or Portobello mushrooms to serve as buns to low carb veggies, a hamburger or smoked cheese. Skewers are a common way to hold foods together without using bread. Cheese is naturally low carb and can be shredded, baked and formed into almost any shape. Bake shredded mixed cheeses and low carb veggies on a cookie sheet to make low carb cheddar jalapeno crackers. (above left) Recipe from All Day I Dream About Food. Craving something crispy? Parmesan and Romano cheese bowls (above right) pack a powerful crunch. Bake cheese until bubbly, form into desired shape using a mug or bowl, and cool until firm. Combine cauliflower and grated Parmesan cheese with chopped veggies or herbs. Bake on a cookie sheet until lightly browned for crispy chips. Pack low carb vegetables, cheese or deli meat between the two slices of toasted tempeh (above left). The thick nutty texture works well as a low carb bread substitute. Make a “bun” with egg whites and lots of seasonings. Great for low carb breakfast sandwiches. Wrap bacon around the edges of muffin cups or muffin tins. Add low carb veggies, your favorite quiche mixture, and bake. Low Carb and Gluten-Free Recipe from All Day I Dream About Food. Each serving (3 bacon cups) has 5.3 carbs, 3.8 fiber, 1.5 net carbs. Grab the printable list of 33 whole grain, high fiber low carb breads, buns, tortillas and wraps with 10 net carbs or less.